Rev. Byron Northwick, PhD was born to O. Byron and Charlotte (nee' Roehler) in Fairmont, Minnesota. After graduating from high school, he attended Mankato (now Minnesota) State University graduating with both a B. A. and M. A. Upon graduation he worked for the state of Minnesota and then the state of California in San Diego as a rehabilitation counselor for the deaf and hearing impaired. While in San Diego the Lord led him to enroll at Concordia Theological Seminary in Fort Wayne (which meant it had to be a call from God to leave San Diego for Fort Wayne, Indiana). He vicared at Hope Lutheran Church in Whittier, California. On graduating from the seminary in 1981, his first call was to Mt. Calvary Lutheran Church in Wamego, Kansas. During his pastorate in Wamego, he was able to pursue and complete his Ph. D. program in adult and continuing education. His dissertation was titled: The Growth of the Missouri Synod, 1847-1872: The Use of Education for the Preservation and Promotion of Lutheran Orthodoxy. He left Kansas to work with Lutherans For Life in St. Paul and was later called to serve Trinity Lutheran of Lake Johanna in Arden Hills, Minnesota. In addition to his pastorate at Trinity, Pastor Northwick has served on the Board of Regents for Concordia University, St. Paul since 1997. He has also taught as an adjunct professor in the master's degree program. In 1990 Pastor Northwick married Melissa Loe at Redeemer Lutheran in Ventura, Iowa. They have been blessed with two children, Andrew and Erica. Pastor Northwick has served at Immanuel since April 2002. Pastor Northwick retired in September 2017. The Reverend Edward H. Schmidt was born in Denver, Colorado on the 14th of July, 1961, to Katharina and Augustine Schmidt. He graduated from Pomona High School in Arvada, Colorado in 1979. Two years later he enrolled at Concordia College of Seward, Nebraska where he began studying for the holy ministry. It was there that he met his wife, Mary Riese of Colo, Iowa. They were married in June of 1983. He graduated with a BA in 1985 before enrolling at Concordia Theological Senlinary of Fort Wayne. Indiana. In 1987 and 1988 he served as vicar at Our Savior Lutheran Church of Sedalia, Missouri. Rev. Schmidt graduated with an M.Div.in the spring of 1989. 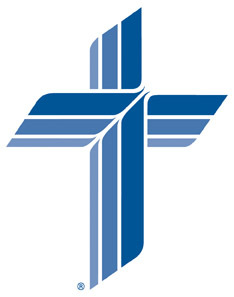 After graduation, his first call and ordination into the holy ministry took place at Grace Lutheran Church of Franklin, Nebraska where he served as Pastor from 1989 to 1996. In December of 1996, Rev. Schmidt accepted a divine call to be pastor of Immanuel Lutheran Church of St. Ansgar, Iowa, with his installation taking place January 19. 1997. In November 2001, Rev. Schmidt accepted a call to Emmanuel Lutheran Church, Rifle, Colorado. Pastor and Mary Schmidt have four children; Andrew, Abbey, Adrienne and Annie. Rev. Norman E. Betke, the ninth resident pastor of Immanuel Church was born on Good Friday, 1934, in Detroit, Michigan. He grew up on the family farm in north central Michigan. He prepared for the ministry at Concordia College at Fort Wayne, Indiana. Seminary training was at Concordia Theological Seminary of Springfield, Illinois. Vicarage assignment was to Bethlehem Lutheran Church, Colusa, California. In May 1958 he was united in marriage to Doris Dommer. The first parish assignment was to Grace Church, Fayette, Iowa. In November 1965 he was installed as pastor of Immanuel Church where he served for almost 30 years. Pastor Betke retired in August 1995. He and Doris returned to the Betke family farm near Gladwin, Michigan. They have four daughters; Rebecca, Rachel, Ruth and Kathryn. Rev. Carl T. Wuerffel was installed of on June 27, 1954. Pastor Wuerffel received his preparatory training at Concordia College, Milwaukee, Wisconsin and graduated from Concordia Theological Seminary in St. Louis, Missouri in 1941. He served congregations at Presho, Draper, and Murdo, South Dakota and Marion, Iowa before coming to St. Ansgar. During his stay at Immanuel a new amplifying system was authorized, a new brick parsonage was built, a mimeograph and chimes for the organ were purchased, the church furnace changed to oil, and a system of ushering for the worship services was initiated. Pastor Wuerffel served as Counselor for the St. Ansgar Circuit and for the LWML Zone. It was during his pastorate that town and rural Bible study groups were formed among the ladies of the congregation. Much time and effort was expended on plans for an educational unit for the congregation. In September 1965, he accepted a call to Immanuel Church, Lakefield, Minnesota. Rev. Herman Wolters, a St. Louis Concordia Seminary graduate, accepted the call to St. Ansgar on November 20, 1949. He had vicared in Montana previous to his final year at the seminary. His ordination took place at Ogema, Saskatchewan, Canada and his pastorates included Ogema, Estevan, Saskatchewan, Canada; Cole Camp, Missouri; Fall City, Nebraska; Luzeme, Iowa; and St. Ansgar, Iowa. The Christmas programs put on during his stay were planned by him and the final questioning of the catechumens was conducted with no guide book. He served as Visitor of the Cedar Rapids Circuit of Iowa District East and of the St. Ansgar Circuit and Chairman of the Board of the Lutheran Home for the Aged at Vinton, Iowa. He died suddenly December 17, 1953. Rev. Theo. Eickelberg was installed April 7, 1946 and served Immanuel for three years. The congregation observed it's 75th Anniversary in 1949 and he assumed the responsibility for writing the Diamond Jubilee Book for this observance. It will be recalled that a recognition service for homecoming men and women of World War II was arranged by him; A Fellowship Club for husbands and wives was organized; and individual communion cups were initiated. He accepted a call to Lowden, Iowa in November 1949. Rev. Paul Brammer began a tenure of Christian service spanning 39 years in St. Ansgar alone, starting August of 1906. His education was received in a parochial school at Lowden, Iowa where his father was pastor. At the age of fourteen, he left for Concordia College, Milwaukee, Wisconsin for academy training and entered the same school for his college work in 1897 and graduated with honors in 1899, as president of his class. Entering Concordia Seminary , St. Louis, Missouri, he graduated in June of 1902, president of his class. Before his pastorate at St. Ansgar, he served at Remsen, Iowa for four years. His marriage to Clara Dornseif occurred September 10, 1903. At the time of his resignation because of illness in December of 1945, he had served this congregation for 39 years and 5 month. During this time, the parish had grown from 200 members to 596 baptized members and 481 communicants. Numerically this growth represented its highest figures for Immanuel Church. He had the distinction of baptizing 432 persons, officiated at 165 weddings, 222 burials, and confirmed 443 persons during his entire pastorate. It was estimated that during his 43 years in the ministry , he delivered more than 4500 sermons. A new church was planned here and built in 1924 for $50,000 with his help and was debt free at the time of its dedication. While Rev. Brammer served Immanuel, the language of the church service passed from German principally to English. In addition to his local duties, he served as: Visitor of the Waterloo Circuit of Lutheran churches for 25 years; Vice-President of the District and member of the Board of Directors for 10 years. Rev. William Janzow of Lewiston, Minnesota and a graduate of Concordia Seminary, St. Louis, Mo, assumed his duties at Immanuel in July of 1900 and stayed until 1906. Rev. Julius Drexler, a former missionary to Nigeria, Africa, became Rev. Hantel's successor. He was noted for his disciplinarian ability in his congregational work as well as in the school. In November 1899, after three years of ministering to Immanuel, he was forced to resign because of a light stroke. Rev. E. Hantel of Hemlock, Michigan was called to serve both Immanuel and St. John's in Cedar Township. During Rev. Hantel's stay the English language was introduced into the school and a new parsonage was built. He resigned in November 1895. Rev. Edward Wiegner received a Divine Call to the new congregation at St. Ansgar, Iowa. Rev. Wiegner was born in Saxony, Germany, May 6, 1845, and emigrated to America at the age of 25. He enrolled at Concordia Seminary, St. Louis, Missouri and graduated in 1874. He became a regular pastor for St. Ansgar, missionary to outlying stations and parochial school teacher and organist. The out laying areas were congregations in Cedar Township, Osage proper, Riceville, Nashua, Rudd, Clear Lake, Garner, Northwood and elsewhere. An accomplished musician, he used the melodeon to accompany the singing in the church service and the violin in the classroom. He passed away in May, 1890.